If you have registered on our site before 04/03/2018, please click here to reset your password. • Flexible Knit Wrist Sealas Out Dirt. 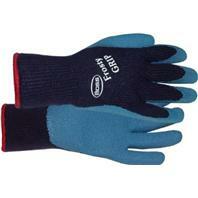 Boss Manufacturing - Frosty Grip Glove - Blue - Large product is categorised under Wholesale Boss Manufacturing products, Wholesale Lawn & Garden, Wholesale Gloves.